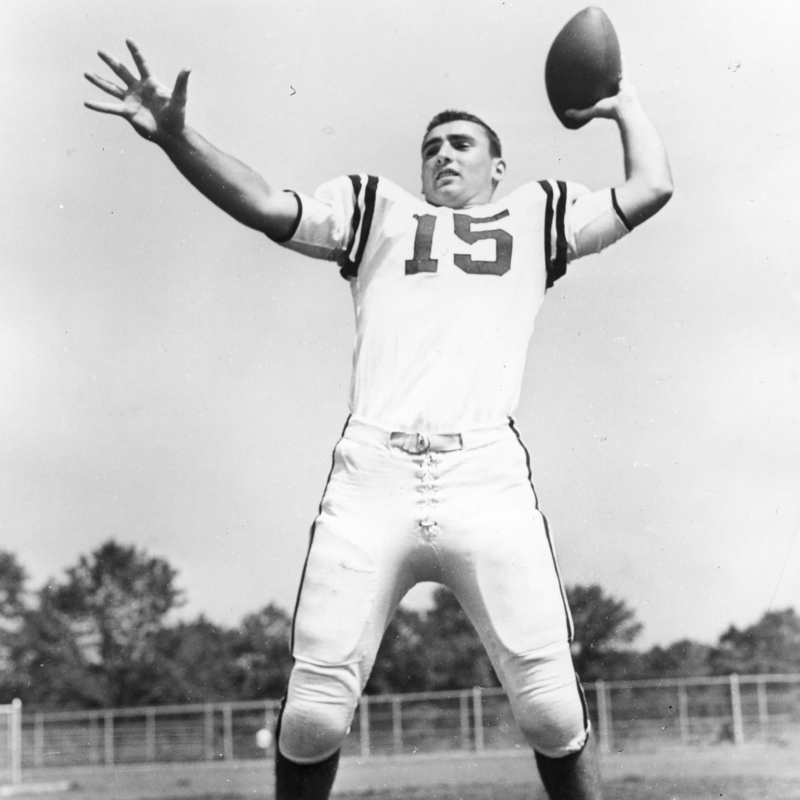 Richie Richman excelled in varsity football, baseball and basketball at Overbrook High School in the late 1950s. In basketball, he was a starter on a championship team with great players – Wayne Hightower, Wally Jones, Walt Hazzard and Ralph Heyward – and his team was voted one of the best high school teams ever in the City of Philadelphia. Three starters became NBA stars. After graduating from Overbrook, Richie attended Villanova University. At Villanova, he also played three varsity sports – quarterback on the football team, first baseman on the baseball team and guard on the basketball team. In football, his teams participated in the Sun Bowl in El Paso, Texas in 1961, and the Liberty Bowl in Philadelphia in 1962. After playing in the Liberty Bowl in the afternoon, Richie played a basketball game for Villanova that night at the Palestra. That feat has earned him the distinction of being the only major college athlete to participate in two different varsity athletic events on the same day. Richie’s distinguished career is well recognized, and he has been inducted into the Overbrook High School Hall of Fame, the Villanova University Hall of Fame, and the City All Star Chapter of the Pennsylvania Hall of Fame.